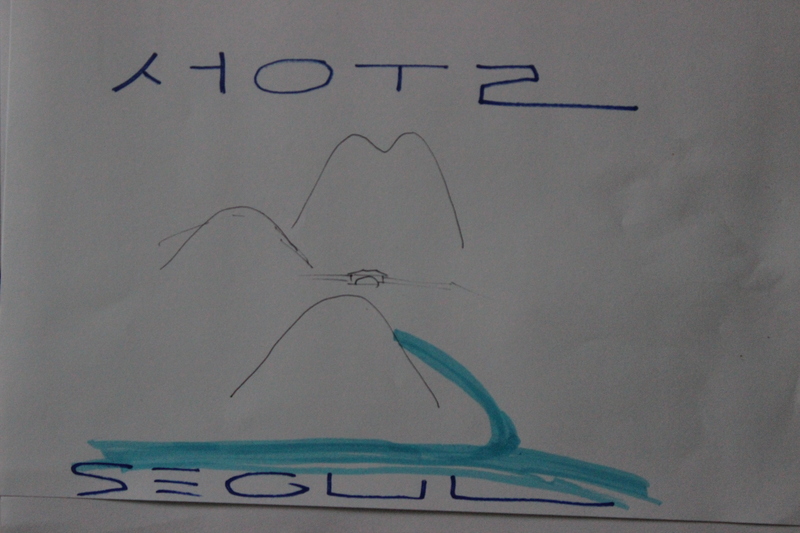 I have been toying around with an idea for a logo to represent Seoul that takes advantage of the three main mountains: Inwangsan, Bukhansan and Namsan and also includes the counter-loop of the Cheonggyecheon feeding into the Hangang. Here is my first stab. I wonder if anyone out there with some real artistic skill can help me make this into something significant.